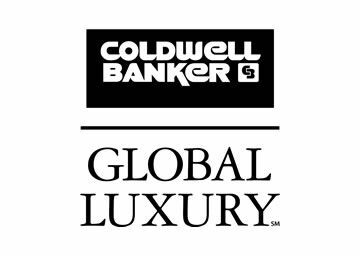 Wide Selection of Private and Public Amenities. Barbeque Areas in Tahoe Donner. Tahoe Donner home owners and their guests will enjoy the many family pinic and barbeque areas located around the community and at the Tahoe Donner Beach Club & Marina on Donner Lake. Tahoe Donner's Private Beach Club & Marina at Donner Lake. 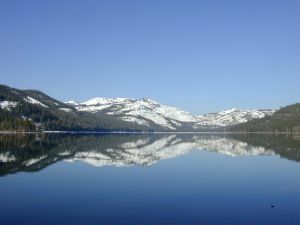 Enjoy many days of "Fun in the Sun" at the privateTahoe Donner Beach Club & Marina located on the East end of Donner Lake. The Tahoe Donner Beach Club & Marina offers sandy beaches, a marina, boat launch, boat rentals and lessons, sandy beaches, swimming piers, a snack bar and deck, kayak storage, and picnick & barbeque areas. The Beach Club & Marina is open seasonally to the public from late May through early September. You may reach the Tahoe Donner Beach Club and Marina during the operating season by calling (530) 587-9460. Tahoe Donner's Alder Creek Campground is designed for both family and group camping. The 42 camp sites offer tent, motor home and group camping. Electricity and water are provided at the sites. Showers, flush toilets and laundry are provided at a central location. Evening camp fires are allowed when conditions permit (check with the Camp Ground Manager). Games & activities are provided and there is an RV dump station. Tahoe Donner's Alder Creek Campground is seasonally open to the public. During seasonal operating hours you may call the Tahoe Donner Alder Creek Camground at (530) 587- 9462. Children's Day Camps in Tahoe Donner. Children ages 3 to 12 can enjoy outdoor education and environmental awareness workshops led by Tahoe Donner's highly trained staff while participating in fun activities like rafting, rock climbing, hiking, and much more! Tahoe Donner area day camps are private entities and are seasonal, running from June to August. For aditional inomation and schedules call Tahoe Donner Member Services at (530) 587-9400. Children's Play Areas in Tahoe Donner. There are designated children’s play areas available at Tahoe Donner'sTrout Creek Fitness Center and the Northwoods Clubhouse. These unsupervised areas are seasonally open to the public. Located only fifteen minutes from Lake Tahoe, the newest Tahoe Donner amenity will provide an energy-efficient and environmentally-conscious site for Tahoe Donner residents who enjoy skiing or snowshoeing in the winter and hiking or horseback riding in the summer. The Alder Creek Adventure Center is the foundation of the Tahoe Donner Cross Country Ski Area in the winter and Tahoe Donner Equestrian Center in the spring and summer. Protecting the mountains’ natural resources and preserving the beauty of Tahoe Donner, the Alder Creek Adventure Center provides fresh and organic food choices at the Alder Creek Café; as well as a newly enlarged parking lot, enhanced to better protect the neighboring wetlands. The open multi-use area consists of enormous windows, perfect for gazing upon the amazing views of the natural marvel that is Tahoe Donner’s own Hawks Peak. Within the Alder Creek Adventure Center, homeowners can enjoy an open seating area near the outlook of Hawks Peak and an impressive fireplace to warm up after an enjoyable day of skiing or snowshoeing. Outside, homeowners can take pleasure in relaxing on the luxurious terrace, while keeping warm by the fire pits and soaking in the glorious natural splendor of Tahoe Donner. A new retail shop that has one of the largest selections of winter apparel and accessories in the area. 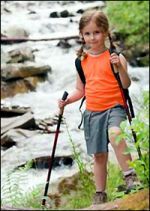 For more information on the Alder Creek Adventure Center, call (530) 587-9437 or visit www.tahoedonner.com/cross-country. Downhill Ski Center in Tahoe Donner. The Tahoe Donner Downhill Ski Area has 14 groomed runs over 120 acres of terrain. The Downhill Ski Area offers 2 chair lifts, snowboarding, lessons, the Ski Bunny Program, a lodge, rentals, a lounge and a restaurant. The Downhill Ski Area is seasonally open to the public. For additional information call (530) 587-9444. Driving Range in Tahoe Donner. The Tahoe Donner Driving Range is located on Northwoods Blvd. adjacent to Tahoe Donner's Trout Creek Fitness Center. Lessons are available and may be scheduled at Tahoe Donner's Pro Shop. The Driving Range is seasonally open to the public. For additional information call Tahoe Donner's Pro Shop at (530) 587-9443. Equestrian Center in Tahoe Donner. The Tahoe Donner area's Equestrian Center offers over 30 miles of riding trails for Tahoe Donner home owners and their guests. Tahoe Donner's Equestrian Center has stables, pastures, a riding ring, trail rides, hay rides, lessons and boarding available for their guests. Tahoe Donner's Equestrian Center is seasonally open to the public and may be reached by calling (530) 587-9470. Euer Valley in Tahoe Donner. With 240 acres of pristine wilderness, Tahoe Donner's Euer Valley offers Tahoe Donner residents many ways to explore the outdoors, with hiking trails, fishing, equestrian trails, and cross country skiing and snowshoeing trails. Tahoe Donner's Euer Valley is seasonally open to the public. Fitness Center in Tahoe Donner. Tahoe Donner's Trout Creek Recreation Center has many great activities, classes and fitness areas, including cardio & aerobic rooms, weight room, activity room, a gym, lap pool, steam sauna, dry sauna, spas, lessons & classes, showers, and day lockers. Tahoe Donner's Trout Creek Recreation Center is open to Tahoe Donner home owners and their guests. You may call Tahoe Donner's Trout Creek Recreation Center at (530 587-9437. Golf Course in Tahoe Donner. The Tahoe Donner Golf Course offers a Par 72, 18-hole, 6,615-yard course, with a pro shop, lessons, practice greens, driving range, snack bar, and lounge. 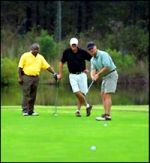 Also available are cart rentals, club rentals, the Men’s Club and the Ladies’ Club. Tahoe Donner's SM Golf Course is seasonally open and accomodates public play. The Pro Shop at Tahoe Donner's premier mountan course may be reached at (530) 587-9443. Hiking Trails in Tahoe Donner. The Tahoe Donner area has miles of hiking trails, with some trails that take a few minutes to hike and other trails that involve many hours of hiking. 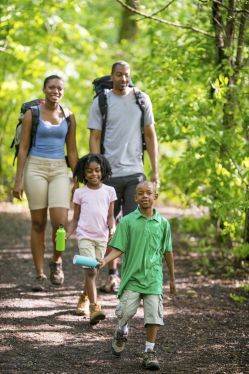 The trails are maintained and are available to hikers, mountain bikers, horseback riders, cross country skiers, and snowshoers. The hiking trails are seasonally open to the public. The Lodge Restaurant in Tahoe Donner. Tahoe Donner's Lodge Restaurant provides Tahoe Donner residents and their guests a fine dining experience, with a lounge, banquet room and a golf pro shop (seasonal). The Tahoe Donner Lodge is open to the public year-round. Recreational Swim Centers in Tahoe Donner. Tahoe Donner offers two recvreational swim centers. They offer lessons, a snack bar, lifeguard, kid’s pool, children’s spa changing rooms, restrooms, a waterslide, picnic areas and barbeque areas. Tahoe Donner's recreational pools are private entities and are open seasonally. For hours of operation call Tahoe Donner's Northwoods Pool at (530) 587-9478 or Tahoe Donner's Trout Creek Fitness Center at (530) 587-9437. Riding Trails in Tahoe Donner. The Tahoe Donner area has over 100 kilometers of well maintained horseback riding trails. The seasonal Equestrian Center in Tahoe Donner offers guided trail rides in such areas as Hawk’s Peak and Euer Valley. For additionl information about Tahoe Donner's Equestrian Center call (530) 587-9470. Snow Play Area in Tahoe Donner. The groomed and supervised Snow Play Area in Tahoe Donner offers a sled hill, sledding and tubing rentals. The Snow Play Area is located adjacent to Tahoe Donner's Trout Creek RecreationCenter and is open to the public. For information call Tahoe Donner's Trout Creek Fitness Center at (530) 587-9437. Tennis Center in Tahoe Donner. Tahoe Donner's Tennis Center offers home owners and their guests the Tennis Club, a pro shop, practice wall, lessons, lounge, showers, day lockers and a ball machine. The Tennis Center is a private entity open seasonally. Contact the Tahoe Donner Tennis Club by calling (530) 587-9474. The Northwoods Clubhouse in Tahoe Donner. The Northwoods Clubhouse in Tahoe Donner is home to administrative functions such as the Architectural Standards Office, Office of the General Manager, Publications, general purpose meeting rooms, Home Owners Members Services and the Pizza on the Hill Cafe. The Northwoods Club House is available for private parties and receptions. Contact the Northwoods Clubhouse by calling Tahoe Donner Member Services at (530) 587-9400.